NAIROBI - The UN human rights chief has called on Kenyan leaders to act responsibly by calming volatile political climate peacefully amid reports of police brutality that has led to deaths and injuries, including children. 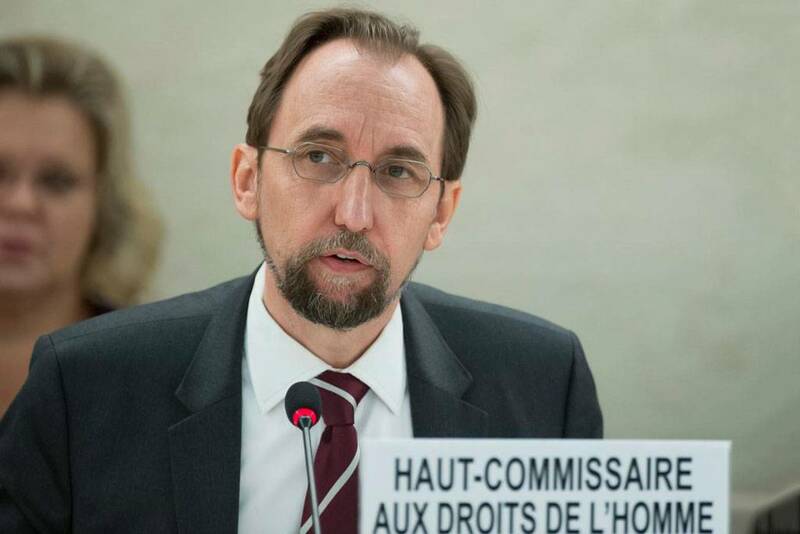 United Nations High Commissioner for Human Rights Zeid Ra'ad Al Hussein said the government should make an immediate announcement that it will cooperate and ensure accountability for reported abuse by security forces. "Kenya is at a critical juncture. The country's political leaders must do their utmost to calm a volatile political climate. If there are claims to make about the conduct of the elections, they should be made through constitutional and legal means," Al Hussein said in a statement issued on Tuesday night. He commended the peaceful voting in the Aug. 8 presidential election in Kenya but urged Kenya's political leaders "to take the responsible path and exercise their leadership to avoid violence. "The UN human rights chief expressed concern about reports that Kenyan security forces used live ammunition against protesters, and about reports of police brutality, leading to several deaths and injuries. Protests erupted after the announcement of results on Aug. 11 soon after the electoral body declared President Uhuru Kenyatta the winner of the presidential polls, with instances of individuals resorting to stone throwing, looting and destruction of property. The UN human rights chief also decried the use of violence by protesters, but also stressed that political leaders should send clear messages to their supporters urging peaceful conduct. "People have the right to assemble and protest peacefully, and the authorities have a responsibility to ensure they can do so. The government also has a responsibility to ensure that security forces prioritize dialogue, non-violent means and exercise restraint, using proportionate force only when unavoidable," Al Hussein said. "All acts of violence, including the serious allegations of excessive use of force by security forces, must be promptly and independently investigated," he added. As part of that effort, Al-Hussein called on the government to make an immediate announcement that it will cooperate fully and unequivocally with the Independent Policing Oversight Authority and with subsequent efforts to ensure accountability. Al-Hussein also expressed deep concern that Kenya's NGO Coordination Board called for a prominent NGO, the African Center for Open Governance (AFRICOG) to be shut down and for its directors and members to be arrested. This comes after Tuesday's decision by the NGO Coordination Board to de-register another well-respected NGO, the Kenya Human Rights Commission.The High Commissioner called for civil society actors and media to be allowed to work without hindrance or fear of retaliation.